I’m going to keep this post short (no, really!) because I’m sick. Worse? Everyone in my family is sick, like pass-out-for-half-the-day sick. There’s no one left to take care of anyone, and we’re on our last orange juice. Fun! Anyway, I’ve mentioned on social media that getting my new laptop prompted me to commit to a long-overdue spring cleaning. The project started innocently enough with organizing my computer’s files to move them over—but quickly grew from there. But that made the other side of my desk look awful, so—of course—I just had to work on the other side as well. Then I decided that I really should organize the shelves of my desk’s hutch above where I work to have a fully neat workspace. Note that I haven’t actually read her book The Life-Changing Magic of Tidying Up. Nor have I watched her Netflix show Tidying Up with Marie Kondo. This isn’t about her method or cleaning in general. It’s about how that single quote of advice resonated with me far beyond “tidying up.” Some advice just works for us and applies across the various aspects of our lives. I love displaying pretty landscape pictures on my desktop background, and the process of moving my files to my laptop made me face that I had over 800 images in my Background Images folder. Even if the slideshow function swapped the images out every few hours, that would be…uh, let’s not do math with sick brain…a lot of days (weeks? months?). And since I like admiring each image for a day, that many pictures was several years worth—definitely more than I needed. I applied a similar “How much do I really love this?” question to a pile of vacation mementos on my desk. Sure, some of the ticket stubs and whatnot would be cute if I ever scrapbooked the trips, but how likely am I to do that? Being sick the last few days has halted my spring cleaning progress, but so far I’m getting rid of several cubic feet of miscellaneous stuff off my desk. (I know!) That’s not counting the cleanup of my computer files. In other words, that one line of advice has helped me, and that’s the point. On the writing side of things, we often talk about getting rid of the parts of our story that bore us. That paragraph (or more?) of backstory or info dump? If we yawn, the reader will yawn. That advice is like the writing version of the Marie Kondo quote. Sometimes, advice from one part of our life can apply and be helpful in other parts of our life, whether we’re talking about writing advice, career advice, relationship advice, organizing advice, etc. Writing advice helping us through procrastination can definitely be applied to other aspects of our lives. Or even advice that isn’t quite right might help us. For example, the advice to “write what we know” might inspire us with a twist to “write what we want to learn” so we’re motivated to learn new things and thus know more. As with all advice, we should take what works for us and ignore the rest. Just because something works for someone else doesn’t mean it’ll work for us. 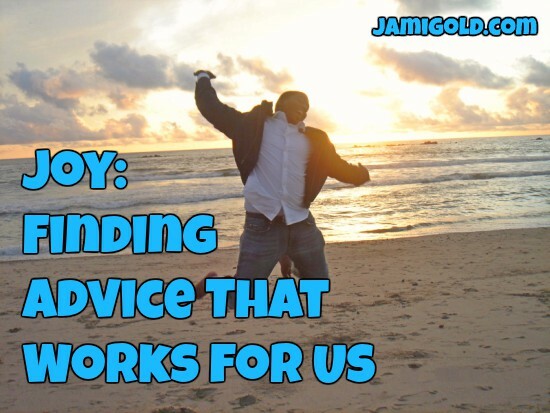 What advice really works for you? What makes it work so well for you? Does that advice apply to other aspects of your life? What makes advice more helpful for you? Have you done any spring cleaning? Right now I am getting rid of books like ‘Bottom line business writing’ from the 1980s and 1990s. Taking up space in my attic and weighing me down, while being dated and useless. Clearing clutter is a psychological boost because you are taking control of your surroundings/ possessions instead of letting them rule you. Sorry to hear of your illness, wishing you a speedy recovery. Yes! I had a Writer’s Market from 2010. LOL! Too dated to be useful. Oh, and I love your insight into the psychological boost of clearing clutter! 😀 Thank you so much for sharing (and for your good wishes)! My darling, my hamburger? Sounds like the inspiration for the Veggietales song His Cheeseburger! Which I now have playing in my head. Thankyouverymuch. But the urge to clear out remains! I’ve even been doing some long overdue clearing out in the garden. Agapanthus definitely does not spark joy. And I have to laugh at your drop-off trip — that sounds like something we’d do. 😀 Good luck with your clearing-out projects! It’s all that spring cleaning that made you sick! Hope you feel better soon. If I lived close by, I’d drop off some orange juice and garlic for you. Garlic keeps you from getting a lot of those bugs–probably because it’s a people repellent. Anyway, I’ve been doing the de-cluttering bit too, getting rid of a lot of old books, some older than your examples there, and lots and lots of paper. I just recycled a Writer’s Market from 2005, and several other out-of-date books. Feel like I lost a hundred pounds.